It’s easy to miss that Christ, the sun, is holding all the planets of our life in orbit. If the planets of our life; our habits, attitudes, disciplines, friendship, feelings, thoughts, labours and aspirations are not held in submission to Christ then all will fall into utter confusion and chaos. 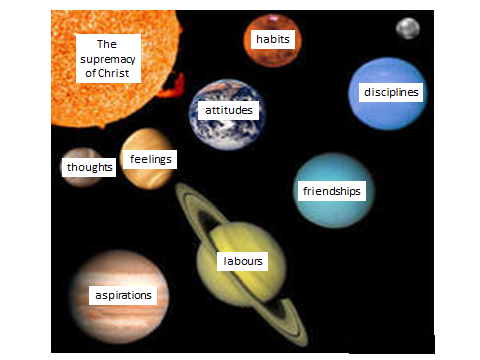 Is Christ the sun truly at the centre of the solar system of our life? If not, we will need the Spirit’s help to change.